Do you like shooting games? Do you like sniper games? 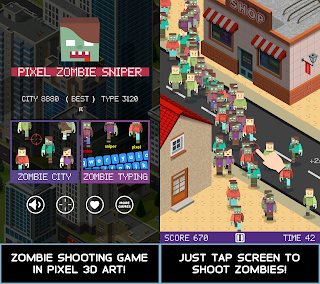 Pixel Zombie Sniper is a simple and addicting zombie shooting game with 1080p FHD graphics. In this sniper games, you can turn your Android phone into a battle field and terminate all the walking dead zombies by using your sniper lethal skills. Be the best American Sniper, Use your superb shooting skills to return the pixel world its peace! How far can you survive? Will you be a true Pixel Sniper? Will you be Pixel World's hero? ★ Two game modes, "Zombie City" and "Zombie Typing"! ★ Retro 2D Pixel Art with modern isometric 3D art combined! ★ Zombie City: Simple control (One tap to shoot)! 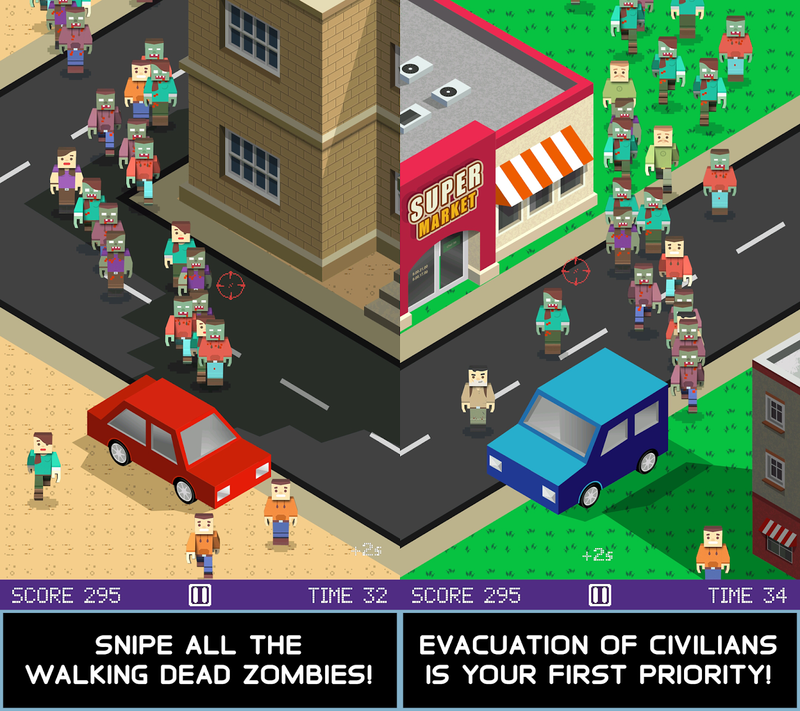 ★ Zombie City: Simple user interface (UI) with Pause system! ★ Zombie City: Endless game with Unlimited Shots and Time Bonus system! ★ Spooky sound effects with rock background music and Zombie Blood effects! Type keyboard to shoot the walking dead zombies with various keywords. Are you up for the challenge? Let's Play Pixel Zombie Sniper and Challenge your sniper lethal skills in this simple fun shooting game! Play shooting zombies with addicting Pixel Zombie Sniper once and you'll want to play the new amazing "Zombie City" and "Zombie Typing" sniper game more! HWDOT is a developer and publisher of casual games for mobile including Pinkie Pom, ZEL, Flower 2048, 144 Blocks Puzzle, Lolly Pop Bubble Shooter, 1001+ Emoji Puzzles, Color Queen! Flood Puzzle, Super 2048 Plus, The Blackjack 21, and Pixel Zombie Sniper. We specialize in delivering free-to-play mobile games to markets around the world. For more information, please visit www.hwdot.com. 0 comments on "Pixel Zombie Sniper 1.2.3 released with Zombie City and Zombie Typing gameplay"